Mikaline 1000 is a mineral alkaline water ionizer which can convert the regular tap water into alkaline and ionized water. This happens by using 8 layers of filtration which purify the tap water, remove the bacteria, eliminate the chlorine, heavy metals, TDS, copper, iron, pesticides, a plethora of volatile organic compounds and fluoride, alkalize the water and give it a good ORP [antioxidants] as well! 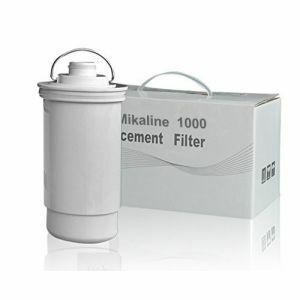 How MIKALINE 1000 Alkaliser Works? 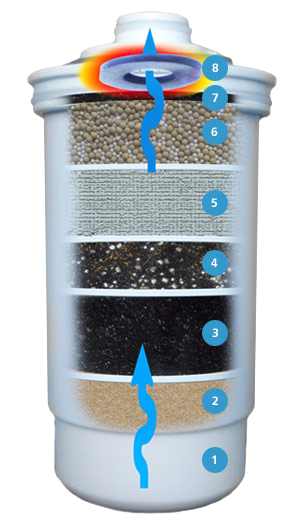 water gos through 8 layers of filtration and energising media working synergistically. 7. Centaur Catalytic Carbon and KDF to improve final taste and remove unwanted non beneficial trace elements. (NSF approved). 6. Trace Minerals and Far Infrared energise and soften the water with negative hydrogen ions. 5. Energizing Media creates antioxidants and reduces the size of water molecules thereby increasing hydration. What is the difference between naturally and artificially alkaline water? When measured in drinking water, an alkaline pH can be a result of either natural or unnatural conditions in the water. Thus when comparing two waters, each with a pH of 9.5, one can be healthful while the other causes side effects. Artificial Water ionizers split apart water molecules with electricity to artificially create alkaline water. Why i s this artificial? All water found in nature has a pH that perfectly corresponds to the minerals in the water. When you drink alkaline water, the body assumes it is receiving alkaline minerals, like calcium and magnesium. The problem with ionized water is that the body thinks it is receiving more alkaline minerals than what are actually present in the water. If our goal is to be healthy, why would we drink or eat anything artificial? For the companies manufacturing ionizer machines, creating naturally alkaline water simply costs too much. Don’t expect the manufactures to start discussing the issue anytime soon. Most people never question whether water is naturally or artificially alkaline and these companies prefer it that way. Artificial and electric alkaline water systems do not create substantial alkalinity of water. Alkaline ionizers are highly dependent upon the source of the water supply for alkalinity. There has to be enough alkaline minerals in the source water supply (e.g., tap water) to create alkalinity of water. Artificial alkaline water systems do not contribute to acid-alkaline balance in your body (or alkalizing your blood stream). There have to be enough acid-neutralizing minerals to create alkalinity in your body. Expensive water ionizers systems do not have good filtration. Your drinking water may still contain contaminants that are unsafe to drink. Which water systems create naturally alkaline water? In nature, water flows down mountain streams and picks up alkaline minerals from rocks in the stream. Water systems that create naturally alkaline water work the same way. The water flows around a gravel bed to naturally pick up alkaline minerals. What's the best way to determine if an alkaline water system creates alkalinity naturally or artificially? Naturally alkaline water systems do not use electricity. When you begin comparing water systems, you will find that the Mikaline 1000 Water System truly creates the most healthful water available today. 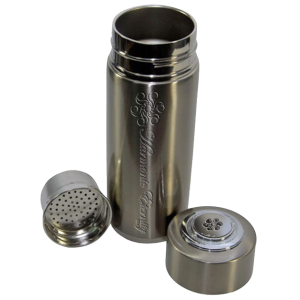 It mimics natural processes to create a structured, naturally alkaline water direct from your tap. No electricity. No shortcuts. Just naturally perfect water that heals. No more plastic bottles, please help the environment and lower the risk of cancer and hormone disorders.